Sisters Julia and Naomi Smith missed classes in Park City to attend the Salt Lake City gathering of the global student strike on Friday. Naomi serves on her school's conservation council, but she worries leaders don't fathom the risk of climate change. Around 500 Utah students on Friday took part in a worldwide strike to spur action on climate change. Students from around the state gathered at the State Capitol in Salt Lake City. Strikes were also planned in Ogden and Provo. Their message: to put leaders on notice that young people believe that time is running out to protect the planet from a climate crisis. “We’re just not doing a lot about it,” said Angela Hastings, a third-grader at the Wasatch Waldorf Charter School in Holladay. “And if we can’t do more, then it’s just going to wipe away our future. 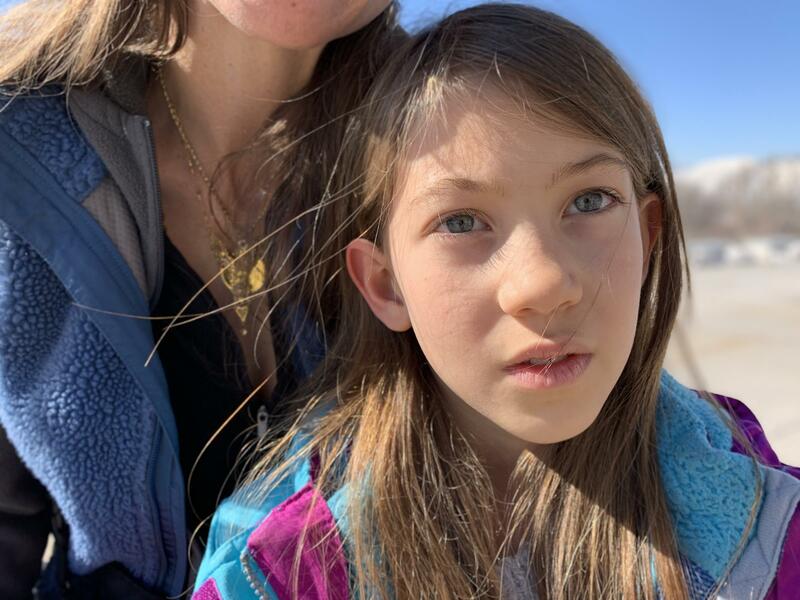 Third-grader Angela Hastings attended the Capitol Hill Climate Strike rally on Friday. Her family recycles and composts to lighten their carbon footprint. Julia Smith, an eighth grader at Treasure Mountain Junior High School in Park City, carried a handmade poster that said “Heal Our Earth.” She stamped handprints on it to illustrate that solutions are in our hands. Samson Osime, a senior at West High in Salt Lake City, said there’s a good reason students at Friday’s rally were emphasizing the life-or-death nature of the climate crisis. He said he wants his children to have the opportunity someday to enjoy the Earth’s beauty - and Utah’s. But he says leaders are dragging their feet. A crowd of about 500 gathered for Friday's #StudentStrike4Climate outside Utah's State Capitol. Loudspeakers for the event were powered by students pedaling seven bicycles. “If we fix it now, we have a future [and if] we don’t, it’s gonna catch up to us real quick,” he said after speaking to the crowd spilling down the Capitol steps. The students already have follow-up events planned to protest the use of fossil fuels that are contributing to climate change. In a few weeks, they’ll take on the Utah School and Institutional Trust Land Administration, which raises money for schools by selling the rights to develop fossil fuel on state lands. Samson Osime, a West High senior, roused the crowd at Friday's Student Climate Strike rally at the Utah State Capitol. He said that leaders should listen to constituents like the hundreds who gathered for the event. 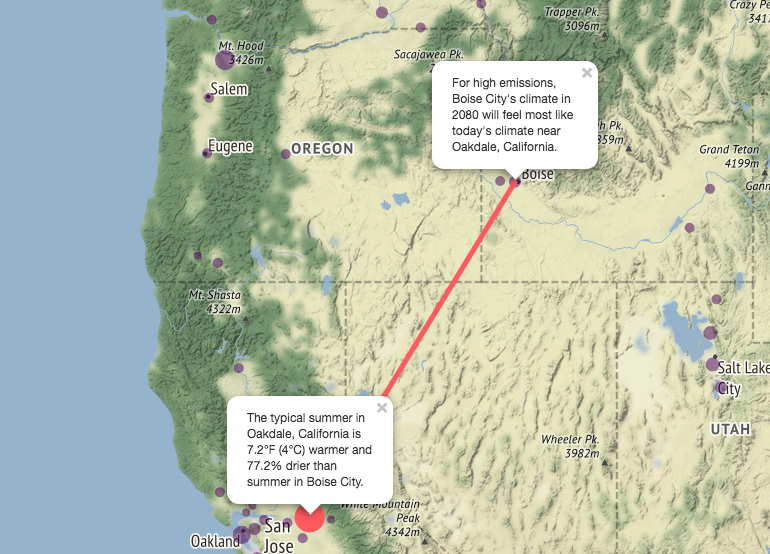 A new study includes an interactive map that shows how your home will be affected by climate change in the next 50 years. No surprise —Idaho and the Mountain West will get hotter.